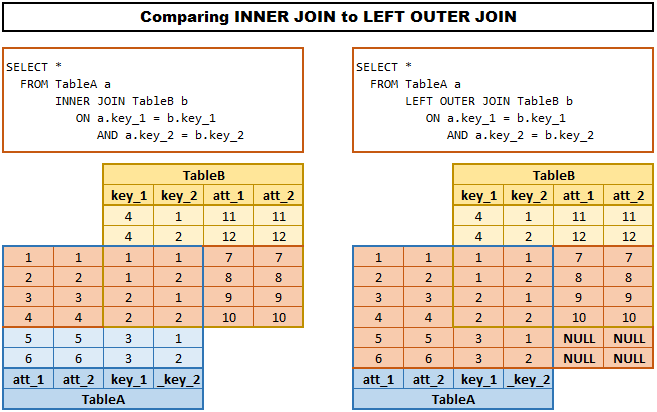 [SOLVED] What is the difference between &quot;INNER JOIN&quot; and &quot;OUTER JOIN&quot;? I also created animations to better show how the data is being manipulated in each type. good and simpler to understand. Nothing in this clearly describes what either join does. (Nor does it address a "difference" between them, other than saying they are different.) This adds nothing to the many answers (many highly upovoted) of a10-yr old question--is it "helpful"? I will say that while this doesn't work for me nearly as well as the Venn diagrams, I appreciate that people vary and learn differently and this is a very well presented explanation unlike any I've seen before, so I support @ypercube in awarding the bonus points. Also good work explaining the difference of putting additional conditions in the JOIN clause vs the WHERE clause. Kudos to you, Martin Smith. 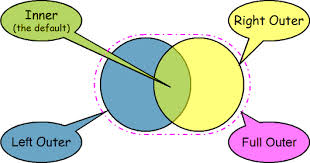 @OldPro The Venn diagrams are OK as far as they go I suppose but they are silent on how to represent a cross join, or to differentiate one kind of join predicate such as equi join from another. The mental model of evaluating the join predicate on each row of the cross join result then adding back in unmatched rows if an outer join and finally evaluating the where works better for me. The Venn diagrams are good for representing Unions and Intersections and Differences but not joins. They have some minor educational value for very simple joins, i.e. joins where the joining condition is on unique columns. is there a way to get the two green rows and the one blue row of A without using distinct? Pretty sure a lot of your JOIN results have too many green rows.. that first INNER JOIN should only have 2 green rows for example. In fact pretty much all the cases where you have 4 green rows consecutively should all only be 2 rows. @Arth - Nope you're wrong. 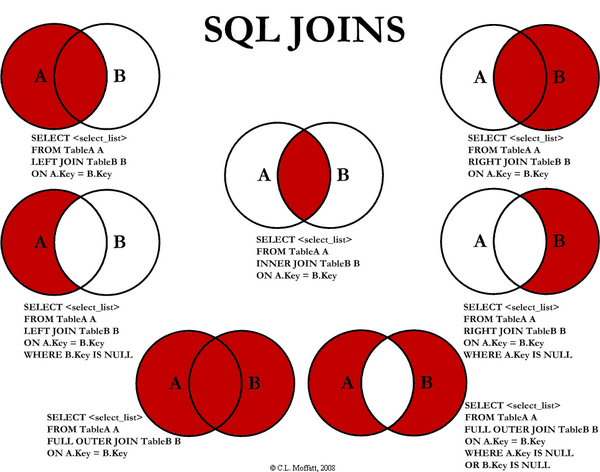 SQL Fiddle sqlfiddle.com/#!3/9eecb7db59d16c80417c72d1/5155 this is something the Venn diagrams can't illustrate. @MartinSmith Wow, I agree, I'm totally wrong! Too used to working with one-to-manys.. thanks for the correction. Unfortunately, your illustrations don't illustrate of LEFT vs INNER JOIN ON in the general case. And although most of the Venn diagrams here are also limited to illustrating special cases, a Venn diagram, when properly interpreted, can represent inner vs outer join, with the intersection holding your green-green INNER JOIN rows. See my other comments. I re-created these excellent examples on SQLFiddle.com for anyone to try running. Uncomment any of the queries you wish to run. How did you do these animations? Great answer, the only bit I dislike is your modesty in saying that the Venn diagrams don't do it for you. The reality is that they are insufficient to model what's going on and this is important to tell, lest people get the wrong idea. @GitGud I'd contest that the Venn diagrams, while incomplete, supplement this answer for me. Like what was said earlier, people have different learning styles. @zarose The answers using Venn diagrams are unclear, incomplete & wrong, including in their use of Venn diagrams. See my first comment on the question & elsewhere on this page. Tolerating such writing is not a learning style. It's clearly a writing style. And (from the upvotes & comments) a reading style. I'm not sure what you are trying to say. I am talking about the standard interpretation of a Venn diagram as sets of elements. (Because some uses of diagrams don't even manage that.) "Properly" for an application includes saying what the sets and/or elements are. 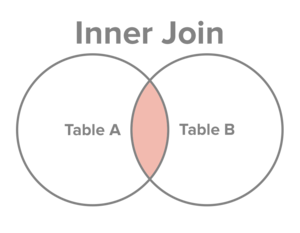 See comment at the top of this page with 50 upvotes re a Venn diagram for inner vs outer joins. I'll edit some of my comments into this question. I don't want a Venn diagram in this post. 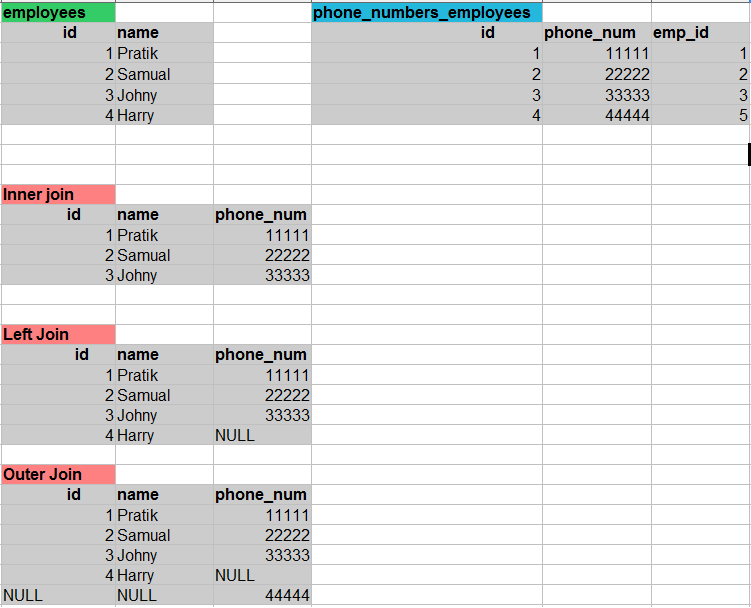 It would be good to augment the example by adding another row in table B with value 4. This will show that inner joins need not be on equal no of rows. An excellent explanation, however this statement: An outer join of A and B gives the results of A union B, i.e. the outer parts of a venn diagram union. isn't phrased accurately. An outer join will give the results of A intersect B in addition to one of the following: all of A (left join), all of B (right join) or all of A and all of B (full join). Only this last scenario is really A union B. Still, a well written explanation. Very nice, Mark can you explain MySQL performance tuning in similar way. Lot of beginners really need some simple and solid explanation of performance areas. what is b.b(+) or this is just mistake newer seen anything like that..
@Vytautas, (+) is the ansi sql syntax for joins. most databases support both syntaxes. Why are there two different syntaxes in each code sample? @TimLovell-Smith, the (+) form is the ansi syntax. Most databases support both syntaxes. 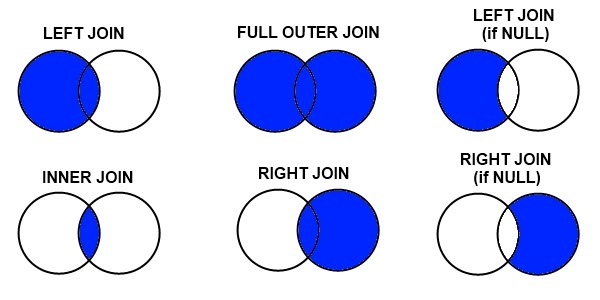 Am I right that FULL JOIN is an alias of FULL OUTER JOIN and LEFT JOIN is an alias of LEFT OUTER JOIN ? yes great and excellent explanation. but why in column b the values are not in order? i.e it is 6,5 not as 5,6? @Ameer, Thanks. Join does not guarantee an order, you would need to add an ORDER BY clause. Can you include natural join in your example? @MarkHarrison Maybe you can help with multiple duplicates? Thomas: Actually, you and Mark are both wrong about a different part of the phrasing. "The outer parts of a venn diagram" refers to "A U B \ A ∩ B". So Mark accidentally directly contradicted himself, though the remainder of his explanation was obviously clear enough to make up for that. To say that outer join is a union may sound a little confusing when the result set of A left outer join B doesn't have the non-matching elements of B. Isn't it? "Assuming you're joining on columns with no duplicates, which is a very common case:" - Does much change when this is not the case? A join doesn't give you the union or intersection of anything. It gives you a closure in a lattice. The + syntax was never ANSI, it was Oracle, and it was always inadequate for expressions using multiple tables or comparisons. The ON syntax is ANSI. PS The comparison to Venn diagrams is phrased wrong. See my comment on the question. 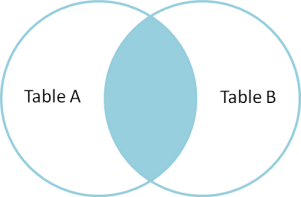 Here is the correct statement for intersection/union of circles/sets A & B in terms of tables A & B. Circle A = A LEFT JOIN B ON condition. Circle B = (A RIGHT JOIN B ON condition). (A FULL OUTER JOIN B on condition) = Circle A UNION Circle B. (A INNER JOIN B ON *condition) = Circle A INTERSECT Circle B. Circle A MINUS Circle B = (A rows not matched by A JOIN B extended by NULLs). Circle B MINUS Circle A = (B rows not matched by A JOIN B extended by NULLs). See my comment (the first) on the question. @HelenNeely Unfortunately this explanation is wrong. Its bullets are only correct when all the columns are the same, and its language is fuzzy. See my comment immediately before yours, and my comment on the question. @Chris INNER JOIN cannot be shortened to JOIN in standard SQL. A DBMS might allow it. MySQL does. You can add to your note, that there is no full outer join in MySQL either. This is only correct when the tables have the same column set. 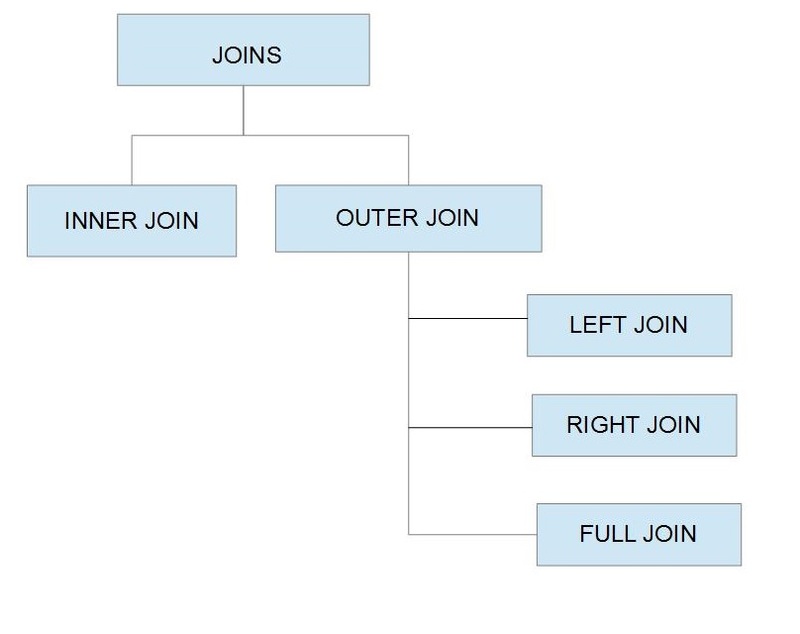 (It confuses inner join with intersection & full join with union.) Also "match" is undefined. Read my other comments. This is both wrong and unclear. 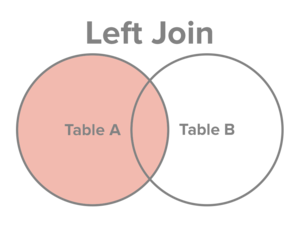 Join is not an intersection unless the tables have the same columns. 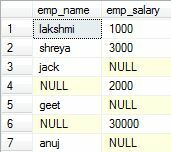 Outer joins don't have rows from A or B unless they have the same columns, in which case there are not nulls added. You are trying to say something, but you are not saying it. You are not explaining correctly or clearly. 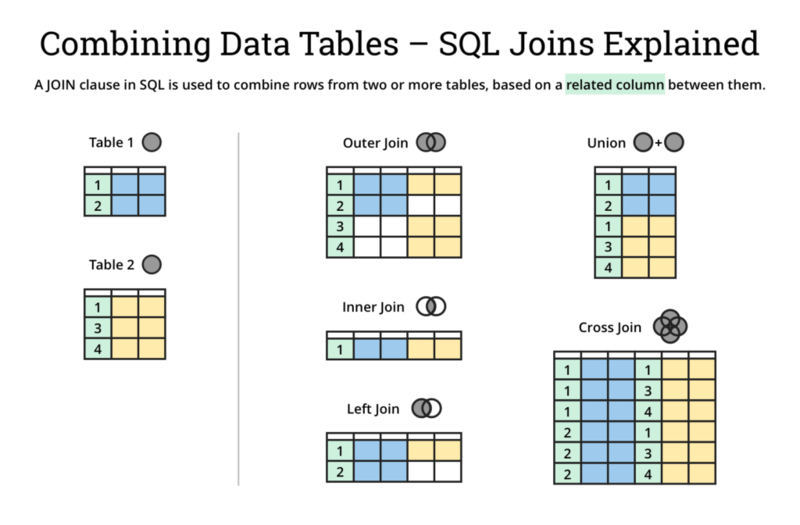 @philipxy: Disagreed on your statement Join is not an intersection unless the tables have the same columns No. 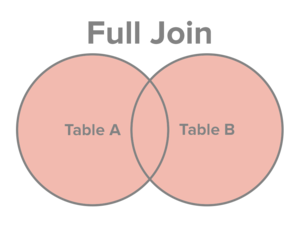 You can join any columns that you want and if the value match, they will join together. This is brilliant and explains why join doesn't work as expected for Time Series index's. Time stamps one second apart are unmatched. This diagram is a bit misleading for the concept. Read the comments in the post as well. @ya23: what does you mean by full outer join? Except that Jeff repudiates his blog a few pages down in the comments: "The commenters pointing out that the diagrams break down in case of multiple and or duplicate results, are absolutely right. I was actually thinking of joins along the primary key, which tends to be unique by definition, although the examples are not expressed that way. Like the cartesian or cross product, anything that results in more rows than you originally started with does absolutely breaks the whole venn diagram concept. So keep that in mind." @philipxy yes the Venn diagram analogy only works for the primary key after ignoring NULLs- this is often not stated. 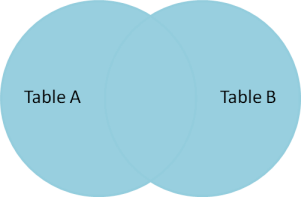 The Venn diagrams don't help to explain how the other columns in the resulting set are filled with NULLs. @Galax Unfortunately, whether the joins are on keys (let alone primary keys) doesn't help the diagrams to make sense. (Even though I quoted Jeff saying that he thinks it does.) (I don't understand your "works for the primary key after ignoring NULLs" or "the other columns in the resulting set are filled with NULLs". I know more or less the sort of thing you are trying to say but any correspondence but the one in my comment to the question is complex and so is a clear explanation. Although I would welcome one. Exactly what are being grouped how by the circles? It can't possibly be "good practice" to use one type of join over another. Which join you use determines the data that you want. If you use a different one you're incorrect. Plus, in Oracle at least this answer is completely wrong. It sounds completely wrong for everything and you have no proof. Do you have proof? 1. I mean try to use. I saw lots of people using LEFT OUTER joins everywhere without any good reason. (The joined columns were 'not null'.) In those cases it would be definitely better to use INNER joins. 2. I have added a link explaining the non-associative behaviour better than I could. As I know INNER JOIN is slower than LEFT JOIN in most of the times, And people can use LEFT JOIN instead of INNER JOIN by adding a WHERE for removing unexpected NULL results ;). These comments made me a bit uncertain. Why do you think INNER is slower? The result has nothing to (do per se) with primary/unique/candidate keys & foreign keys. The baviour can and should be described without reference to them. A cross join is calculated, then rows not matching the ON condition are filtered out; additionally for outer joins rows filtered/unmatched rows are extended by NULLs (per LEFT/RIGHT/FULL and included. I think this diagram assumes that there are no duplicate Key, meaning Key is unique. If Key wasn't unique, I think the result would have been a cross and the return count would be much higher than the size of A. In the FULL OUTER JOIN example with the intersection portion excluded, won't using 'A.Key IS NULL' exclude all rows from A because if the Key is NULL then by definition the row doesn't exist? I'm not seeing how that mechanism achieves the results for the VENN diagram shown. @KellyS.French See my comments on the question & other answers explaining how to read the Venn diagrams. 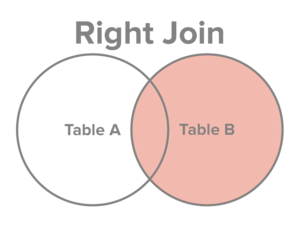 The zones do not enclose rows from tables A & B. They enclose certain rows made from pairing a row from A and a row from B. Which also aren't even rows of the output of the SELECT statement. The Venn diagram answers are all poor. A represents all potential rows coming from tableA, B represents all potential rows coming from tableB. The red zones in the diagram mark which of these rows will actually be included in the result set. Note that there could be (and often are) many, many more potential rows coming from a table than there are actually rows in that table. 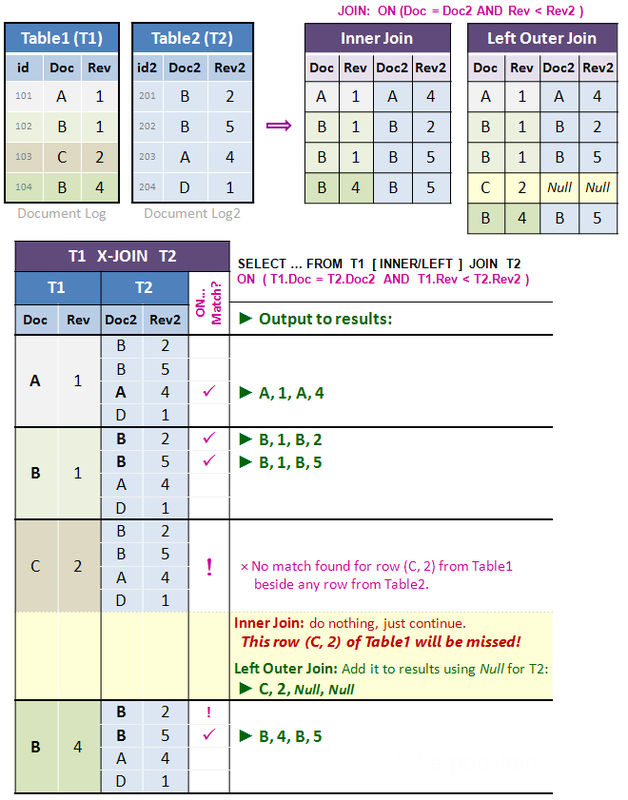 That's because any row in tableA will be potentially occuring once for each row in tableB that references it. This is called the cartesian product. @StijndeWitt That is not clear. Italicizing "potential" doesn't define it. When the inputs don't have the same columns, no row coming form A or B is included in the result set, so your second sentence is wrong. Moreover, the answer explains nothing about the diagram, and neither does its source, which also says nonsense about rows returned. @philipxy Please do understand it's not my answer. My comment was intended to help people to understand it. If you can do better, please do so. @StijndeWitt I know it's not your answer. There is no benefit in adding fuzzy, incomplete & wrong stuff to fuzzy, incomplete & wrong stuff. @Trushar :( it is not for Linux system..
@GrijeshChauhan Yeah But you can Try to run it using wine . Your text is unclear & wrong. The "matched rows only" are rows from the cross join of A & B & what is retrieved (A inner join B) is not A intersect B but (A left join B) intersect (A right join B). 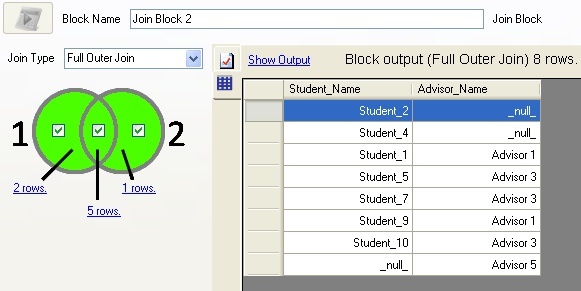 The "selected" rows are not from A & B, they are from A cross join B & from null-extended values of rows from A & B. @nomen Not that this answer addresses it, but INNER JOIN is an intersection and FULL OUTER JOIN is the corresponding UNION if the left & right sets/circles contain the rows of (respectively) LEFT & RIGHT join. PS This answer is unclear about rows in input vs output. 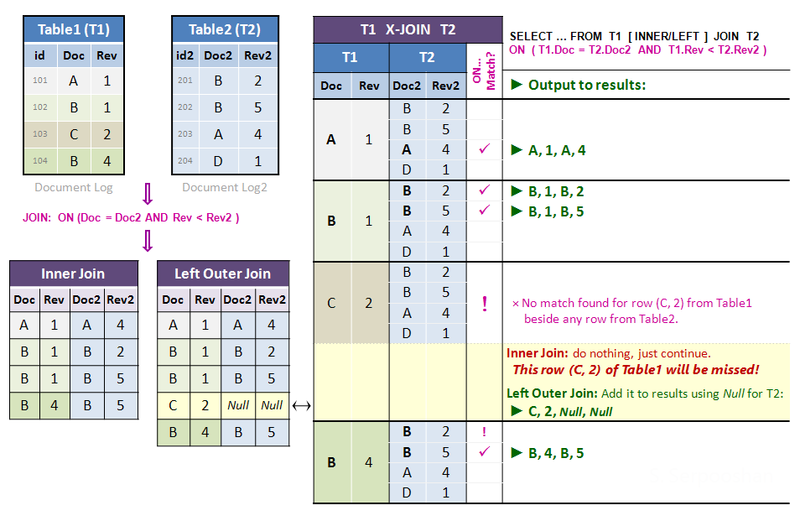 It confuses "in the left/right table" with "has a left/right part in the left/right" and it uses "matched row" vs "all" to mean row extended by row from other table vs by nulls. [SOLVED] What is the difference between UNION and UNION ALL?